How's this font? Any better? I've now got the card design fully linked to an Excel spreadsheet of data to fill in the unit info automatically. 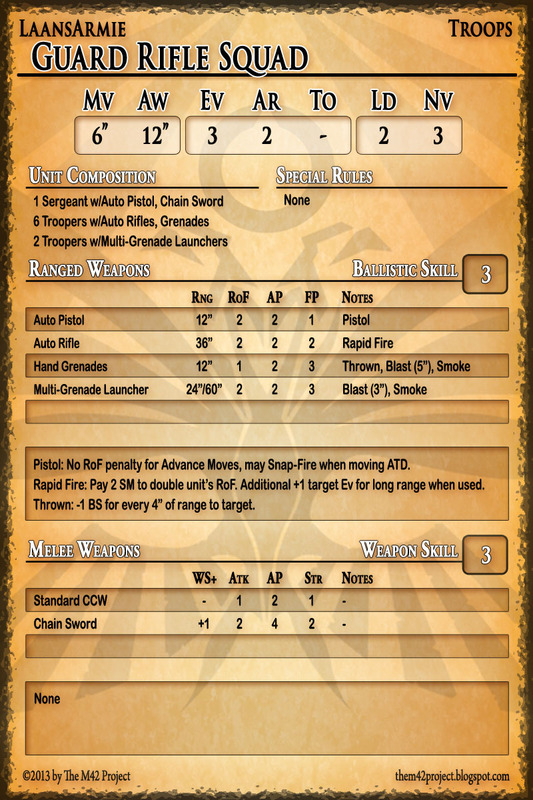 Next I'm going to attempt to re-design the layout so that the card can be folded in half, with the general info on the front, and the weapons (probably without the special rules descriptions) on the back.